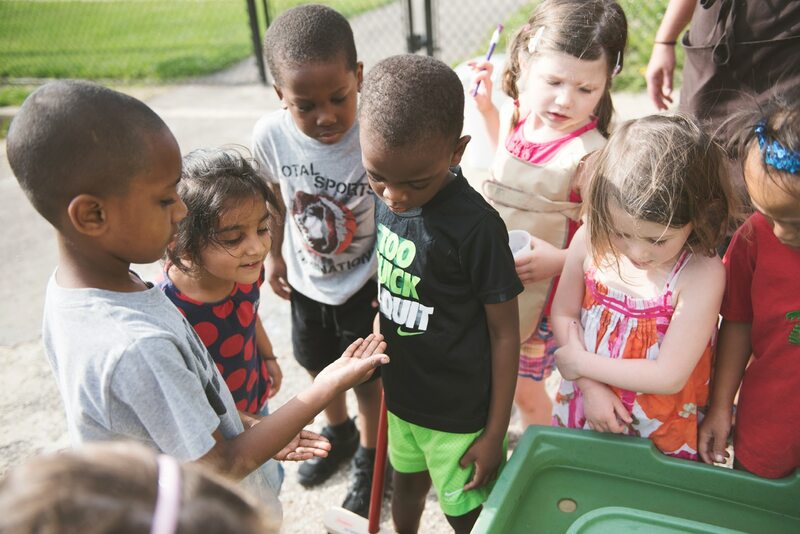 Kennedy Heights Montessori Center (KHMC) was founded in 1965 by a group of neighbors wishing to provide a beneficial preschool experience for their children. The school has been organized as a parent co-operative with a philosophy and curriculum drawn from the principles developed by Maria Montessori. KHMC currently serves students ages 2-6 through our Toddler, 3-6 year-old, and Kindergarten programs. Click here to learn more about our programs. 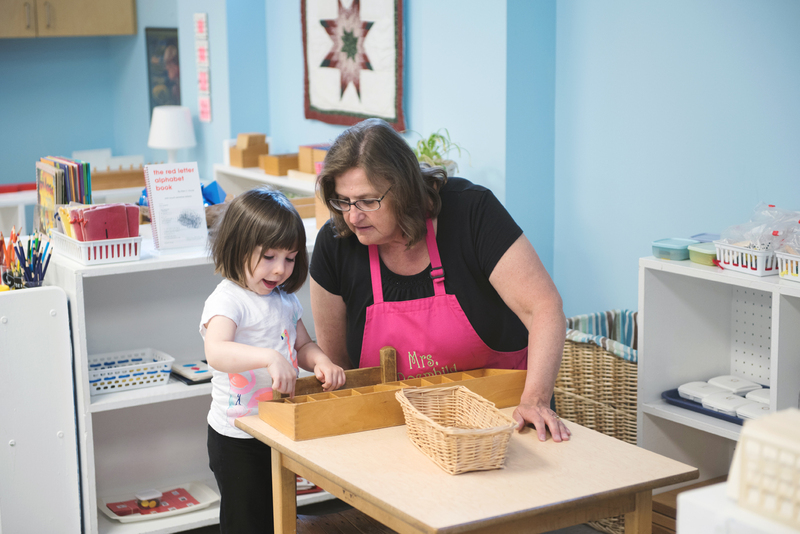 We strive to create a high-quality, nurturing environment that provides children with a solid foundation for learning, guided by the Montessori philosophy. We seek to enable each child to develop a sense of independence, belonging, self-awareness, and respect for self and others. KHMC also aspires to reflect the rich diversity of our neighborhood and its surrounding communities. KHMC is committed to serving a racially and economically diverse student body, with an emphasis on providing families and children with a superior educational opportunity in a cost-efficient manner. This commitment to inclusion has also led KHMC to develop a rich extended day program, before and after school, to accommodate working parents and caregivers. As a parent co-operative school, parental involvement is central to what we do. Parents and caregivers are invited to be partners in their child’s education through regular interaction with teachers, invitations to chaperone field trips, and attendance at special events. Parents and caregivers also are expected to support the school through committees that perform various vital tasks, including cleaning and maintenance, fundraising, marketing, and social events. Some also serve as class secretaries. Parents also play central roles in school governance. The parent-led Board of Trustees, elected by the entire parent community, sets the school’s budget and fees. It also selects the director and makes decisions on various policy matters. The hands-on work of parents and caregivers is key to making our business model a success. More importantly, direct involvement of parents helps build a personal level of commitment to the school and to the success of their child’s education. KHMC has been awarded five stars—the topmost rating—by the State of Ohio’s Step Up To Quality program. SUTQ recognizes and promotes learning and development programs that meet quality program standards that exceed preschool licensing and school-age childcare licensing health and safety regulations. Step Up To Quality program standards are based on national research identifying standards which lead to improved outcomes for children. To learn more about Step Up To Quality, visit earlychildhoodohio.org. The State of Ohio licenses Kennedy Heights Montessori Center. All of our teachers are certified by the American Montessori Society (AMS) or the Association Montessori International (AMI).